The Sticks & Stones Seven-Week Program bridges the communication gap between parents and teenagers. The Program helps parents and teens learn how to work together to communicate more effectively and build a stronger bond. Parents are always looking for new and creative ways to get their teens to communicate with them. Author Meaghan Roberts has just released her new program designed specifically to help parents create an environment where teenagers feel comfortable opening up. The Program consists of two eBooks, Sticks & Stones and My Rock. 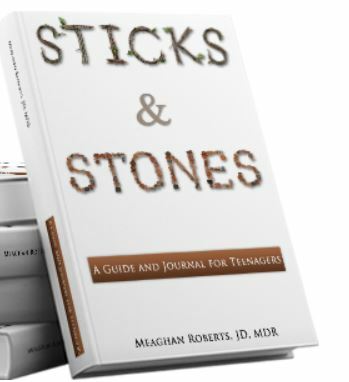 Sticks & Stones is a self-help guide for teens concerning daily issues they deal with such as bullying, self-esteem and peer pressure. The guide is also an e-journal where teens can privately write their thoughts, feelings and questions. The purpose is to create a safe outlet for teens to express themselves. They will read one chapter a week and spend the remainder of the week reflecting and writing about what they learned. My Rock is a supplemental guide that gives parents insight on what their teens are reading each week as well as communicative skills to help facilitate a conversation with their teens. Each week, a day prior to reading a new chapter, parents and teens will meet to discuss what their teens have learned and any questions they have. The Program is safe, secure and private. Meaghan developed the Sticks & Stones Seven-Week Program because traditional parenting books offer advice to parents but none to teens. When parents apply the advice, their teens have no idea where the change is coming from. Teenagers are no longer children and can no longer be treated like children. The only way a parent-teen relationship can develop is if both parties are involved. The Sticks & Stones program encourages parents and teens to work together to build trust as well as prepare teens for conversations they will have with their parents. Parent’s can be stressed, but taking your time to find the right program is worth it. The recent tragedy in Newtown, CT has many conversations sparked about the need for mental health services. As a Parent Advocate for over a decade, I speak with parents on a daily basis and hear their desperation for assistance with their tween or teenager. Some parents are at their wit’s end and feel like a hostage in their own home by their own child, however the resources can be limited for some. Residential therapy is an excellent option however it can be costly. Some insurances will help cover the cost, but only a portion of it usually. In most cases it is usually a PPO insurance that will cover the clinical component of a residential program and even with that, usually a parent has to be prepared to pay the upfront costs and file the claims to be reimbursed. (This all depends on the mental health policy and what it covers). HMO can be very limited when it comes to mental health, which is why we are hearing a lot about being under-insured in mental health. When it comes to Residential Treatment Centers, another concern parents need to be aware of is the scams that are out there. I was once a victim of one over a decade ago, which prompted me to created my organization – Parents’ Universal Resource Experts, Inc. (P.U.R.E.) Parents need to understand there are some programs and schools (or programs that claim to be schools) online with toll free numbers going to marketing arms ready to prey on desperate parents. This is exactly what happened to us. Though there are many excellent programs and schools in our country, like with many other businesses, there are always those that are less than what you would want for your child. I always encourage parents to do their due diligence. The program that duped my family, though it is closed now, has several other programs opened under different names. They have a specialty of always changing names, in my opinion. But you will notice the staff seems to stay the same. Recently I heard how their LaVerkin, Utah program has gone from Cross Creek to Horizon Academy to Riverview now I just heard they are calling themselves Youth Foundation. I don’t know – but I do know if you are doing things the right way you don’t have to hide under all these name changes – of course, that is my opinion again. As you can imagine, this group has a script they share with their potential parents about me too. I am a disgruntled parent. Yes, I am – you harm my daughter, a parent becomes disgruntled. 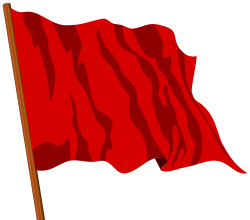 You dupe me, scam me – I become disgruntled. I won in a “jury trial”. I didn’t settle out court with a confidentiality – though they will tell you a jury made a mistake -I will say not jurors condone child abuse. Now they are facing another lawsuit. What is there excuse now? I assume that is why the name change again. Either way – use your gut. If it doesn’t seem right – it usually isn’t. At the end – your child needs help – get them help. Don’t make a rash decision, make an educated one. It has been 12 years since my daughter endured the awful experiences at Carolina Springs Academy, an offspring of WWASPS – which is the umbrella of many other teen help programs. When I first posted our story of Deception, Misrepresentation and Fraud it was almost immediately I was sued by them in a an attempt to silence me – and get my story removed. What they didn’t expect was for me to fight back. After defeating them in a jury trial of their peers in Salt Lake City, Utah, (let’s face it) no one condones child abuse, my story is still online. Since then, thankfully, Carolina Springs Academy attempted a name change to Magnolia Christian Academy, and shortly after that closed their doors. However WWASPS still continues in several other branches such as Red River Academy in Louisiana, Cross Creek in Utah, Horizon’s Academy in Utah and the newly River View also in La Verkin Utah. Though I did win that trial – WWASPS and their sales reps continue to tell parents I am disgruntled parent – or I own or manage other teen help programs. I don’t. I help educate parents so what happened to me doesn’t happen to them. After they lost their appeal to attempt to say the jury made a mistake, I went through a time of awful Internet defamation. It seem that a group of people decided to slander and libel me online – and it got to a point where it effected my life, my family and my organization that had literally helped thousands of families with at-risk teens. It left me with no option but to sue the people/person we could identify through the Internet for Internet defamation and invasion of privacy. With that lawsuit, I again, in a jury trial, won over $11.3M jury verdict for damage done to me. During depositions it was discovered that WWASPS was indirectly involved with this person and actually referred her to the attorneys she was using. And at one point WWASPS was receiving the bills for her legal fees. This trial was back in 2006. Today in 2012, I hold no grudges over this person – I actually only wish her well. We all have moved on in our lives. My only grudge is with the people that harmed my daughter and that, in my opinion, continue to defraud and possibly harm (at least emotionally) families and kids today. There are many excellent programs in our country. I don’t tell parents where to go – I just hope they do their due diligence. If your gut is telling you there is something not right – chances are very good – your gut is right! Be an educated parent – you will make a better decision for your teen. Helpful tips for finding teen help programs – click here. You may know someone that needs the road to recovery, but unless they ask for directions it is likely they are not ready to get on the road. Road to Recovery March 2012 is here! We know that almost 1 in 10 Americans struggle with a substance abuse disorder and 1 in 5 Americans have a mental illness. Treatment and recovery are a pathway forward. The National Recovery Month (Recovery Month) campaign offers help and hope not only for individuals receiving recovery services and in recovery but also for families, loved ones, and friends. The benefits of treatment and recovery-oriented services and supports in behavioral health ripple out across entire communities throughout our Nation, proving there are effective treatments and that people do recover. 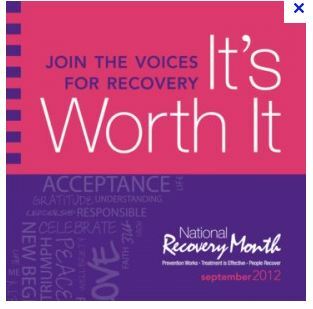 As the Road to Recovery series kicks off its 12th season, this episode will highlight the many accomplishments of the 2011 Recovery Month campaign and look forward to a successful September 2012 Recovery Month. Please visit http://www.recoverymonth.govfor more information.Join me on Facebook and follow me on Twitter for more information and educational articles on parenting today’s teenagers. So often I hear from parents looking for parent groups – parents they can talk to, parents that know the feeling of being at their wits end with their teenager today. Years ago many parents turned to Tough Love, however they disbanded and there has always been a debate whether it was the most effective way to handle teens of today. The teenage years today can be extremely challenging! Whether it is a sense of entitlement, peer pressure, society, or an attitude of defiance, it seems some teens today are literally holding their parents hostage in their own homes. Operation Parent is an organization that has recognized many parents feel they are alone. They have created support groups and have offered resources and information for communities to start their own groups. Operation: PARENT is on a mission to educate, equip, encourage and engage parents of teens and pre-teens. Welcome to our website where you can purchase our Parent Handbook, register for one of our many parenting classes, delve into a tough issue related to parenting teens, or learn more about our exciting Coffee Series. Bring part of a support group can help you and your family begin healing. You are now part of our network of thousands of parents and their goal is to make sure no parent in any community ever feels alone while raising their teen or pre-teen. Together we can do this… together we can raise incredible teens! For more information visit www.operationparent.org. After going through my own experiences as an adult being harassed by people online, whether it is cyberstalking, cyberbullying or downright meanness; it can be hard for teens to emotional handle these harsh attacks. I know it was for me, and I was not only an adult, I was a mother, had a flourishing career and an organization that was helping thousands of families. All at the same time being virtually attacked by keystrokes. I was fortunate I was able to fight back and find vindication. 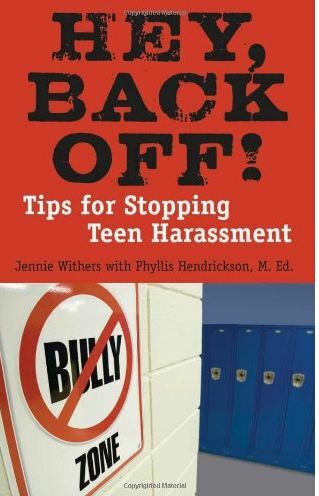 This book can help give teens the power and tips they need to rise above the harassment they may be facing. Because of the recent alarming increase of tragic suicides among youths, the direct result of repeated harassment and taunting of school children, the United States Department of Education (DOE) released a nationwide appeal to Boards of Education addressing the growing harmful issue in our schools: bullying. Many states have now signed the “Anti-Bullying Bill of Rights” to help ensure the physical and emotional well-being of today’s youth. Approximately 160,000 students in America and more worldwide avoid school each day because of the fear of bullying and 60 to 80 percent of schoolchildren face harassment intimidation. Listen to CyberhoodWatch recent BlogTalk Radio Show with Jennie Wirthers! What exactly is a parent looking for when their once happy bouncing toddler has turned into an out-of-control teenager? Second semester. Some teens have had enough. They don’t want to go to school anymore. They believe they know it all. It is easier to get a GED, after all, some of their so-called friend are doing it! As much as you are trying to ignore or just say it is a phase, you notice your teen is withdrawing from the family, failing in school, smell alcohol, maybe even marijuana, cigarettes, and overall have become a child you no longer recognize with a personality that is defiant and totally disrespectful the the family boundaries – what do you do? Most parents try local therapy – which is a great first step, but when happens when therapy doesn’t work? You can’t be afraid to take that next step! A parent in a denial only harms your teenager. Don’t be held hostage in your home by your teen’s behavior. Sending a child to a residential program/school is a major decision. It is not one to be taken lightly or to be decided on overnight. Usually a teen’s behavior has been slowly escalating and a parent knows that deep down things are not getting better. As much as you hope and pray that things will change, this is only typical teen behavior, sometimes it just isn’t. With drug use and substance abuse rising – more dangerous and deadly ingredients being used, such as spice and inhalants, parents have reason to be concerned. It isn’t your marijuana of generations prior – it is so much worse and in many cases – addictive and deadly. If you have reached your wit’s end and now surfing the Internet for help, remember, anyone can build a website. Anyone can put up nice pictures and create great content. You need to do your due diligence. Years ago I struggled with my own teenager. I was at my wit’s end. I didn’t realize what a big business this “teen help industry” was. Yes, my child needed help, but what we received was anything but that. My story is a cautionary tale – not one to scare you into not using a program, however on the contrary, you have to get your child help, but you have to do your research in getting them the right help. You can do it without spending thousands! Your child is not for sale, try to avoid those marketing arms selling you a list of programs that are not in the best interest of your child’s individual needs. Always speak with an owner or director – Someone that has a vested in your teen’s recovery. Their reputation is on the line. Wilderness and other short term programs are usually nothing more than a band-aid that will fall off as quickly as the program lasted. They are expensive camping trips and in most cases the Wilderness program will tell you at about 4 weeks that your teen will need to continue on to a longer term program. What? Yes, now you go back to the research board and worse than that, your teen will be deflated when he finds out he/she isn’t coming home in 6-9 weeks as they were lead to believe – and they will be starting all over again with a new therapist – new schedule – and new setting. Don’t get caught up in this “shuffle.” Start and finish with the same school/program. The average stay should be about 6-9-12 months, depending on your teen. Anything less is probably non-effective. Anything more, you may be creating abandonment issues in my opinion. Do you really need an Educational Consultant? Absolutely not. You are the parent and no one knows your teen better than you do – with a few tips, you will be able to make some sound choices. For more helpful hint and tips, please contact www.HelpYourTeens.com for a free consultation. After the ordeal I went through, I created this advocacy organization to help educate parents on finding safe and quality programs.